Toni Anne Dashiell is an empowering personality who is passionate about leadership development. 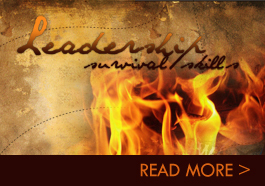 Toni Anne equips leaders across the United States with practical, yet powerful leadership skills. She has also trained women seeking public office in Nigeria and Bosnia on behalf of the Women’s Democracy Network. Her combined experiences as a grassroots leader and a leadership development trainer, have given Toni Anne insight into developing organizations and mobilizing teams of both employees and volunteers to accomplish their goals. She is an award-winning leader, commended for her role in leading and mentoring 165 volunteer local organizations throughout the state of Texas. Toni Anne believes in the importance of community service. She has demonstrated this value by serving as a leader in her hometown, including the Boerne Chamber of Commerce, Government Affairs, the Boerne ISD Budget Committee and the Boerne Community Theatre. She was appointed by Lt. Governor David Dewhurst in 2011 to the Texas Prepaid Higher Education Tuition Board.